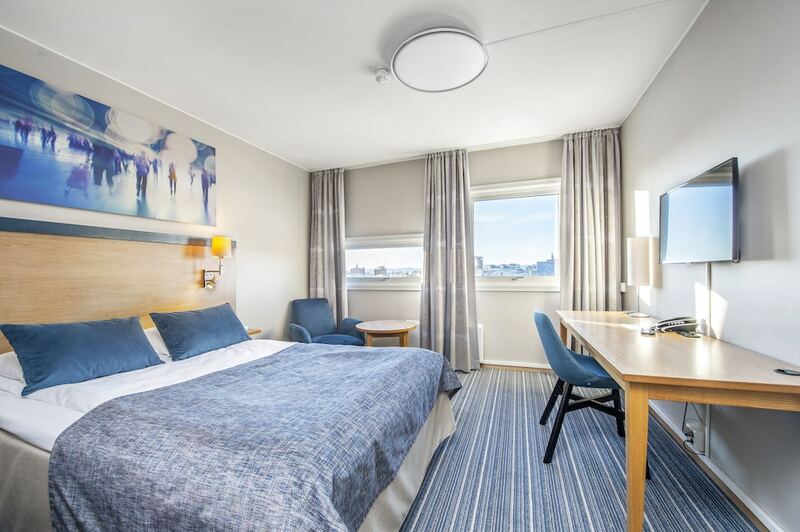 With a stay at Anker Hotel, you'll be centrally located in Oslo, a 4-minute drive from Oslo Spektrum and 10 minutes from Aker Brygge. This hotel is 2.8 mi (4.5 km) from University of Oslo and 4.2 mi (6.8 km) from Norwegian Museum of Cultural History. Stay in one of 296 guestrooms featuring flat-screen televisions. Complimentary wireless Internet access keeps you connected, and satellite programming is available for your entertainment. Bathrooms have showers and hair dryers. Conveniences include phones and desks, and housekeeping is provided daily. Grab a bite from the snack bar/deli serving guests of Anker Hotel. Wrap up your day with a drink at the bar/lounge. A complimentary hot/cold buffet breakfast is served on weekdays from 6 AM to 10 AM and on weekends from 7 AM to 11 AM. Featured amenities include complimentary newspapers in the lobby, dry cleaning/laundry services, and a 24-hour front desk. Planning an event in Oslo? This hotel has facilities measuring 2411 square feet (224 square meters), including conference space. Self parking (subject to charges) is available onsite.